The Dell Vostro 15 3568 runs on Linux Home Edition. The laptop features a 15.6 inch,Truelife LED-Backlit Display,1366 x 768 pixels and is powered by a Intel Celeron Dual Core (6th Gen),2.4 GHz and 2.1 GHz processor. To enhance multi-tasking and fast speed, the company has offered a 4 GB RAM. Talking about the storage, the laptop uses a 500 GB,5400 RPM (RPM),SATA storage.There is a Bluetooth,Wi-Fi,Full HD Screen and more.The laptop has a 4 Cell battery that will give enough battery life to the users. 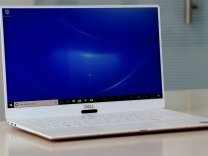 Dell has announced a new family of Inspiron all-in-ones, an updated XPS 15, an Inspiron 15 7000 2-in-1 Special Edition, six S Series displays, and the availability of and new color for the XPS 15 2-in- 1. Dell India today, announced a new addition to its Inspiron laptops in the 5000 series, ramping up the flagship Dell Inspiron portfolio. 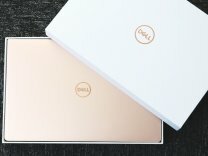 Dell has just announced the launch of its Dell XPS 13 laptop in India. 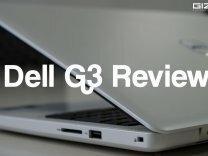 The starting price of the laptop is Rs. 94,790. The laptop houses a quad-core 8th generation Intel Core processor, up to 1TB PCIe SSDs, up to 16GB RAM support, and a 13-inch 4K InfinityEdge display (on select variants).